The members of the East Whiteland Fire Company congratulates Deputy Police Chief Chris Yeager to the appointment of Chief of Police. 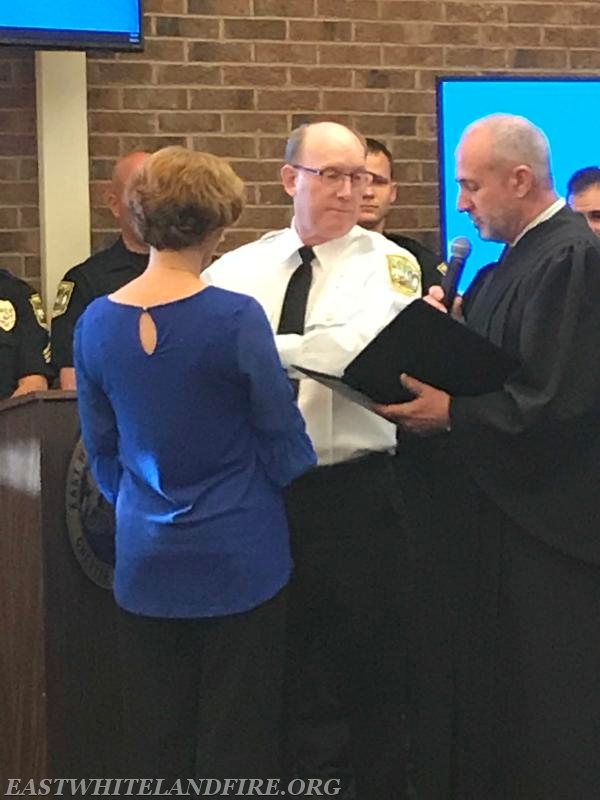 Chief Yeager has been a police officer with the East Whiteland Police Department for many years. He was sworn in at the May 9th monthly Board of Supervisors public meeting. We wish him the best of luck in his new role.